Let's start this post with some good news. On Friday, I finally received my exam results for my January exams and, let's just say, I was shocked with the outcome. I received Firsts on both my exam modules and I am so unbelievably happy that my hard work paid off. With this news, I thought I would share with you what I did from the lecture to revision to sitting the actual exam to prepare myself for this. I thought I should probably add a little disclaimer here: in no way am I saying that this way is right for everyone and this is just what seemed to work for me. This was my first essay based exams in two years and so I had to try a few different methods at once to hopefully understand and remember the content well. While some of these tips may be helpful for all different subjects, some maybe only beneficial to a few subjects but hopefully there'll be something for everyone to take away from this. 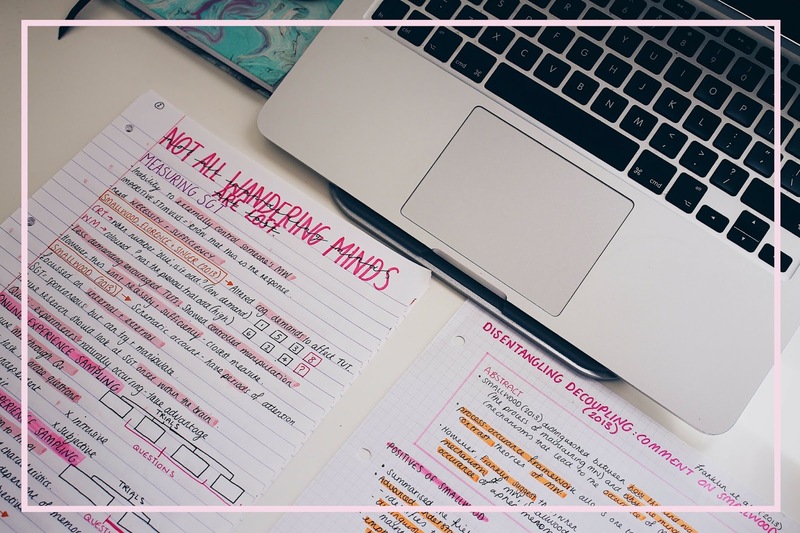 If you're looking for general revision help feel free to see old posts I've wrote on this topic here which, from looking back there seems to be quite a few. I made sure that before every lecture I had a quick look at what the topic of the lecture would be and, if available, download the slides to my laptop ready for the lecture. While I know some people prefer to handwrite in lectures, which was my preferred method for first and second year, I realised how much time it saves to type any additional information into the notes section of powerpoint; it just saved me trying to frantically write everything down and miss vital bits of information. If something was already written on the slides, I wouldn't take note of it unless the lecturer phrased it in a simpler way that I understood better. Write- up lecture notes while fresh in my head. I think this was one of the best things I did last term; as soon as the lecture was over I would crack on with handwriting some initial notes of the lecture content to make doubly sure I understood. It also gave me chance to flag up early on any areas I needed to focus on understanding a little more and where I needed to find a little more research. Get the reading done as well. At the start of term, I would try my best to get the reading done even before the lecture. However, as work started to pile up or when I didn't really understand the reading before the lecture, I would make sure to also get this done on the day of the lecture. It allowed me to make quick connections back to what was mentioned in the lectures and gave me a better understanding. Doing it as early as possible meant i was out of the way and my initial work for that particular lecture was already done. I think this is something I'll definitely be doing better this term. If you wanted to get the higher marks in exams, the lecturers stressed the need for further research. It took me a while to work out the best way to go about this but I found going to papers referenced in lecture and looking at the citations used was a quick and effective way to find out previous research. If wanting to know where research had progressed, finding the original paper on Google Scholar and looking which later papers had cited this was a great way to find even more up-to-date research. Review papers were always a plus as they have pages and pages of references. Also having a quick check of library to see if there's any books related to the course not only helped me find material that phrased difficult theories in, sometimes, a better way for me to understand but also gave me another place to find some new references. Integrate with your notes & condense further. So, I've got my initial notes and then, separately, all this extra research. To have these separately just didn't really help me work out in knowing where it all fits together. If I was going to write an essay on it, I really needed to have it all in one place. This is when I decide to write my notes out again; with the extra research and even more concise notes. This would later be the basis of any revision and so, already, I'm starting to learn it in preparation for exams. If you're subject or module is heavily research focusses, I really recommend this way. I would split each study up into it's intro, methods, results, discussion/conclusions and any further critical points. By doing this, I'm basically forming the paragraphs needed for the exam essays. It helps me take out the most useful points of information and not overwhelming myself with paragraphs taken straight from the paper or lecture slides. I previously shared with you "GREAT APPS FOR STUDENTS" and one of the ones I included was Quizlet. It basically allows you to make cue cards and is mostly used by people trying to learn a language. I used these by putting the researchers' name and year of study e.g. Jones (1998) on one side and having the definition as the main finding and conclusion of that paper. This was great for last-minute revision to help cue the recall of the other information relating to the paper. I regularly just used this throughout the months leading up to my exams to constantly remind myself of studies. They have some great features to allow you to test yourself that were really helpful, especially in remembering which paper did what. I say intros and essays as two different things as I tended to do them separately. One of my lecturers had told me that the introduction is the first hurdle faced in the exam and so having different introductions prepared for the different types of questions that could be asked allowed me to practice how to tackle these questions before even sitting the exam. It helped me know what is needed in each introduction and helped me practice writing them effectively. With this, I found writing out essays in full and trying to time myself based on the timings that we would have in the exam meant I was more prepared in how the exam would be and gave me chance to practice how to write in the exam that was clear yet quick. 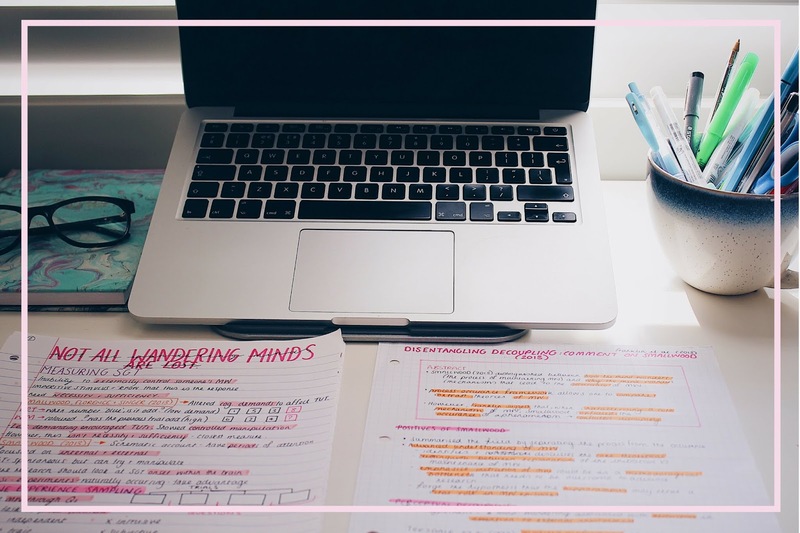 Through constantly writing out introductions to essays and also essay plans I felt it was a really effective way of revising for the exam. If you have a friend in your module, getting them to come up with practice questions for you to try is another great way for you to get more practice in and be prepared for any trickier questions that may turn up. So that is how I prepared for my January Exams! I hope me sharing this with you will help any of you students with any future exams. Do you think I missed anything important that maybe I should try before my next exams? I'd love to know!